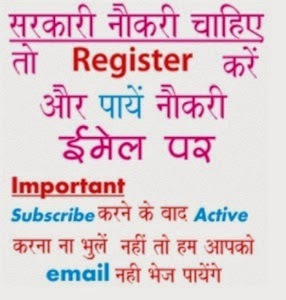 Friends you can see here MLSU recruitment 2019 online as this page will give all new alerts on job 2019 notices issued by Mohanlal Sukhadia University (MLSU) Udaipur, till you may view previous notifications. Earlier online applications invited for various 63 Non Teaching Jobs (Registrar, LDC, Lab Technician) etc posts. Friends last date to submit online application is (now over......). Get complete online notification for this university job in MLSU Udaipur is given at www.mlsu.ac.in. We have tried to cover all the important aspects for this alert in this portal. Further queries of MLSU Recruitment 2019 regarding salary, qualifications, dates, fees and how to apply are provided here...........................Till date i.e. 12th April 2019 there is no job, stay connected for latest updates..
Mohanlal Sukhadia University (MLSU) also known as Udaipur University is a State University established by an Act in the year 1962. The university offers various courses for graduate, master degree in regular and distance mode. 8th class pass & Knowledge of English and Hindi.